Experience clean, high quality drinking water every time you turn on the faucet and crystal clear ice cubes, scum-free tea and coffee. 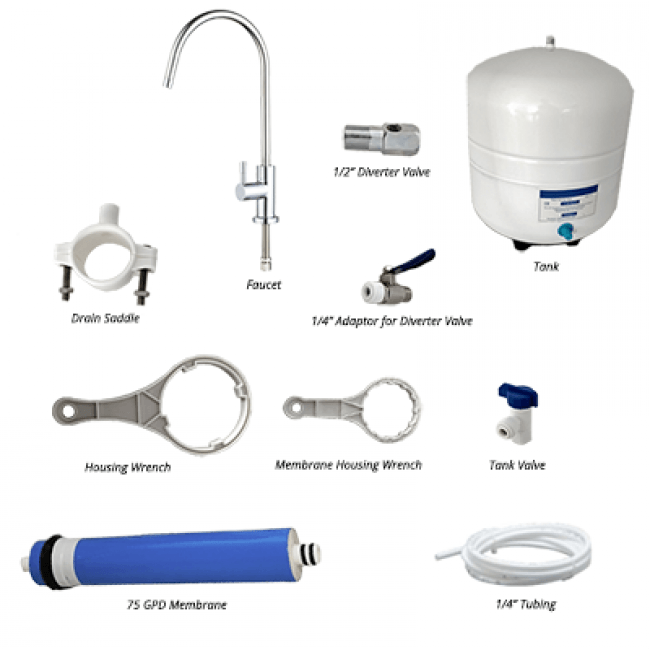 Designed for safer, healthier water. The system uses tried and tested NSF certified components. Removes up to 99% of over 1,000 contaminants and is ideal for homes, fitting neatly inside an under sink kitchen cupboard or up to 5/10 metres away with additional tubing if needed. Easy installation and maintenance with Plug & Play parts. Backed by 2-year Osmio Warranty with lifetime support. Full, courteous, industry-leading Osmio support provided by experienced professionals. Revitalised mind, body and spirit with the Osmio Grey Line Reverse Osmosis Systems. 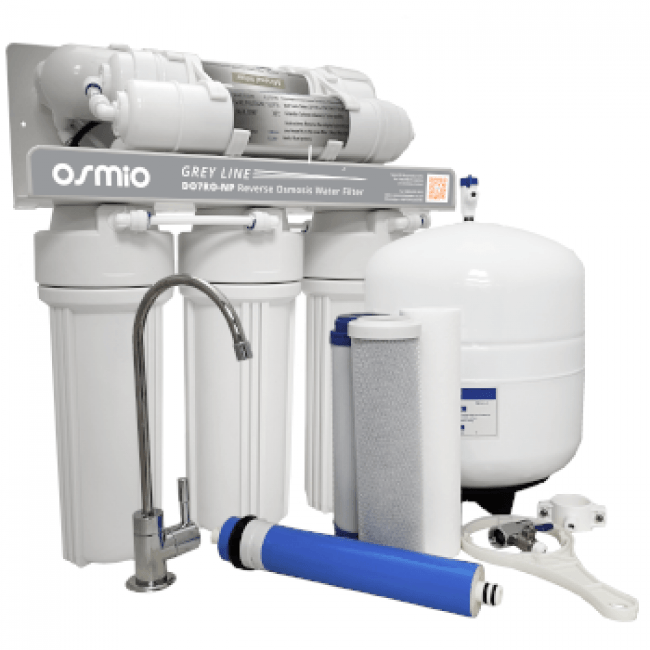 The Osmio Grey Line 7-Stage Non-Pumped Reverse Osmosis Water Filter is a high quality pumped reverse osmosis system specifically designed for safer, healthier water. The system requires a minimum of 3.0 bar incoming pressure and a maximum if 6 bar. (pressure reducing valve required over 6 bar. The RO membrane removes not only harmful pollutants but also a few helpful minerals. As a result, a standard 5 stage RO system produces slightly acidic water with a pH of 7.0 or below. Feed Water Pressure 3.0 Bar Min. - 6 Bar Max. If the pressure exceeds 6 bar, a pressure regulator can be installed at the system inlet. This part is not supplied with the kit. Pressure reducing valves are widely available at Plumbers merchants and online.